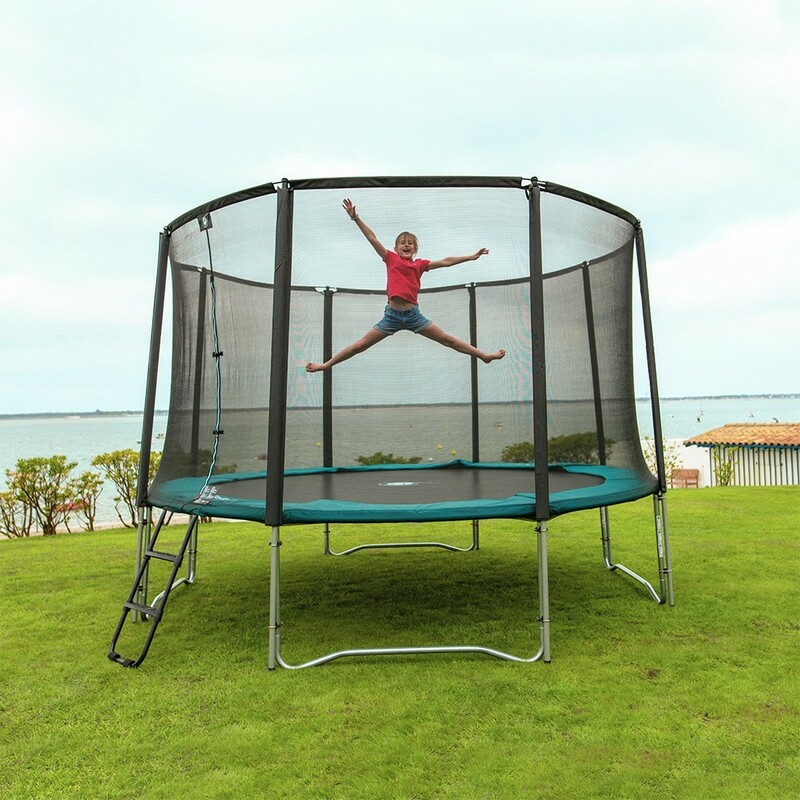 Jump’Up 390 maxi pack: trampoline with net, ladder, anchor kit, cover. An indispensable! 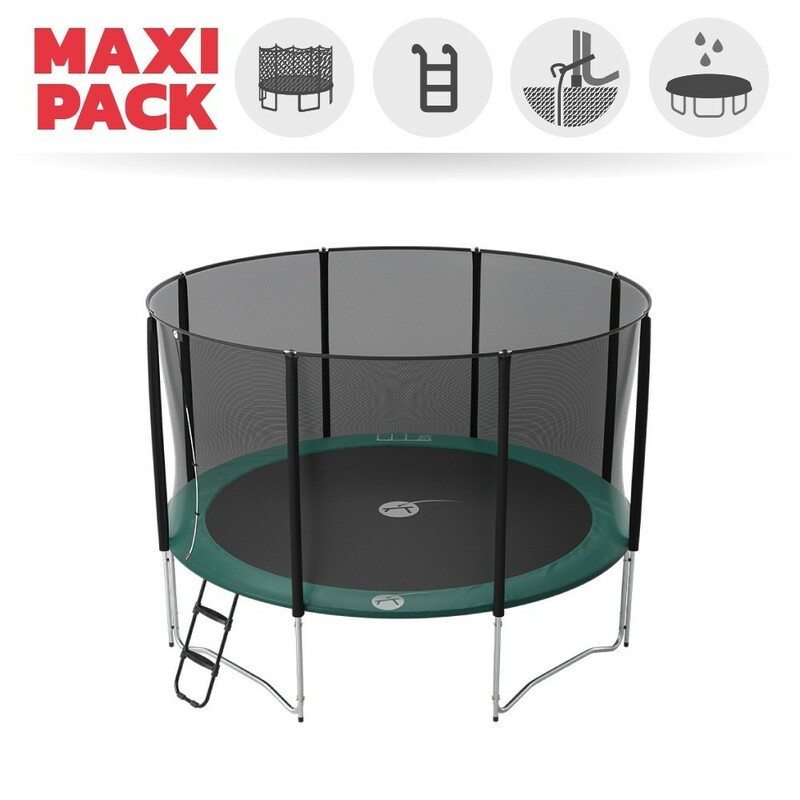 This Maxi pack is made up of the 13ft Jump’Up trampoline, with its enclosure, ladder, anchor kit and basic protective cover. 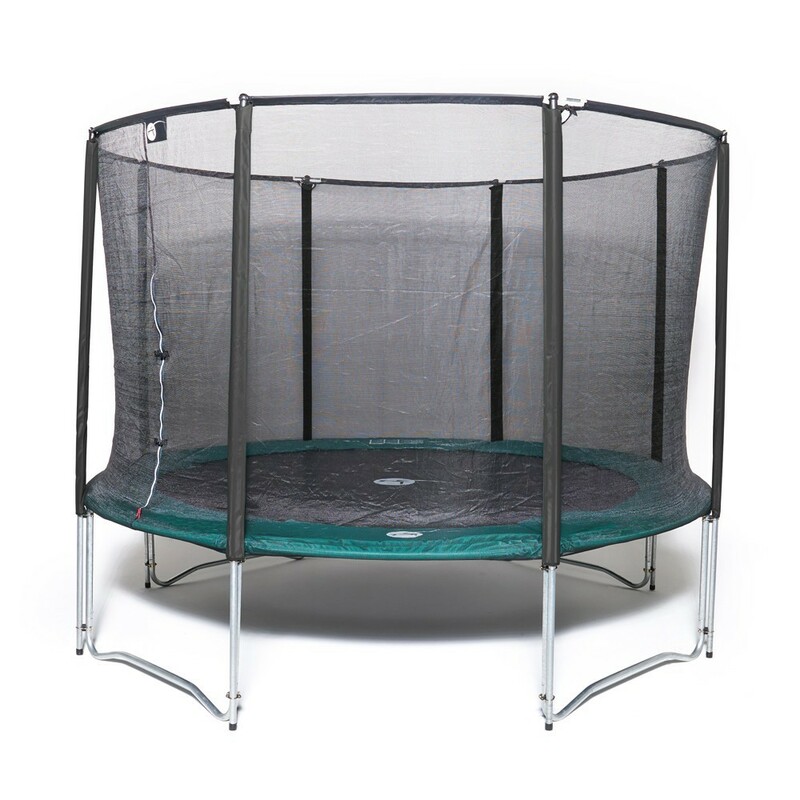 A “must have” to make the most of your trampoline serenely, come wind or rain, for years to come. 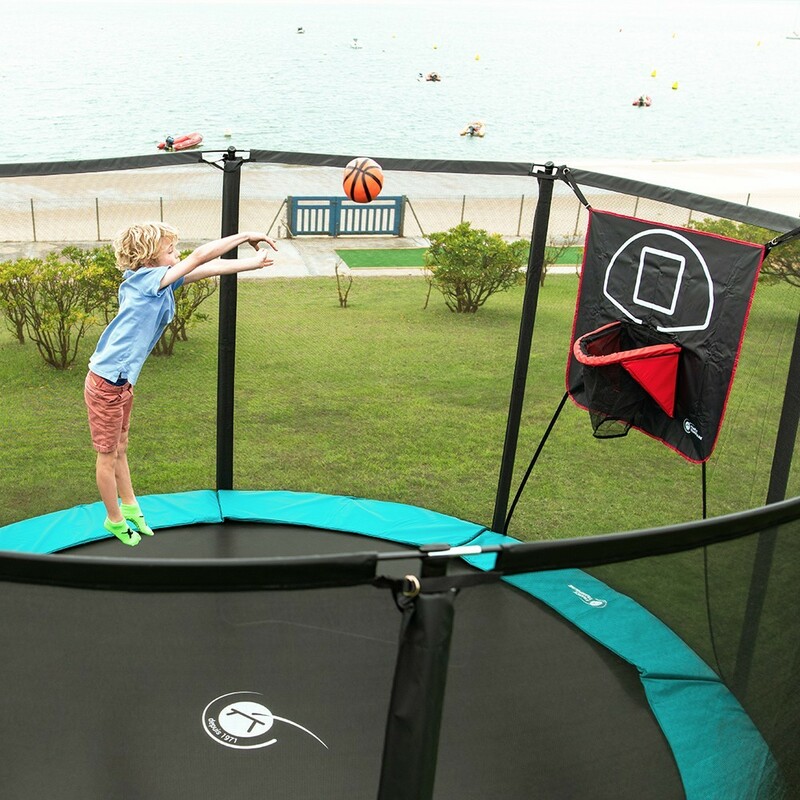 - With its 13ft / 3.96 m diameter, this trampoline provides a generous jumping surface that will allow your children, and adults, to have fun in safe conditions. 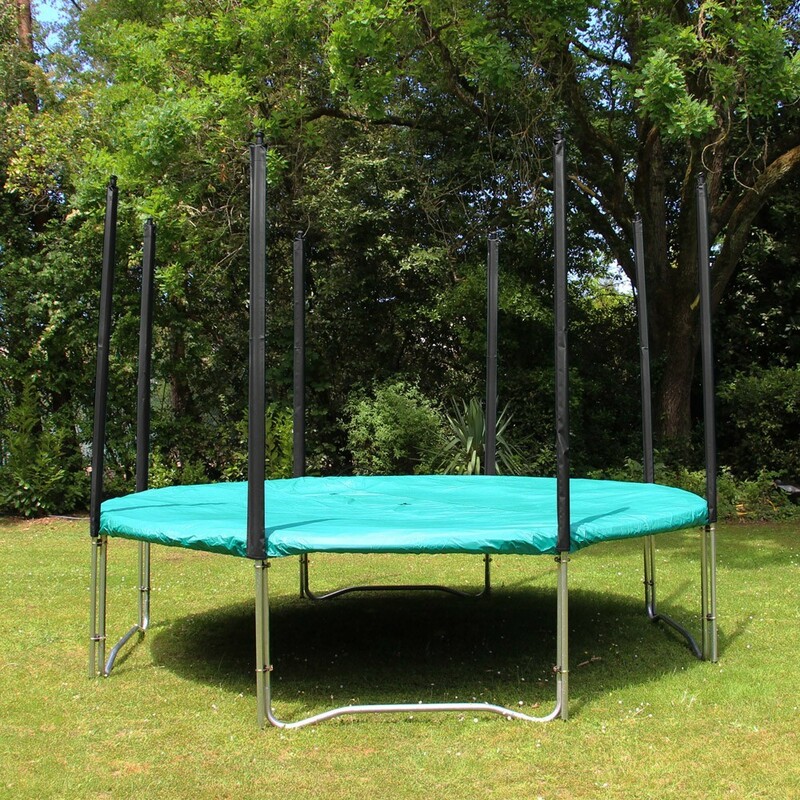 The 42 mm in diameter galvanised steel tubes render this trampoline robust and resistant to rust. 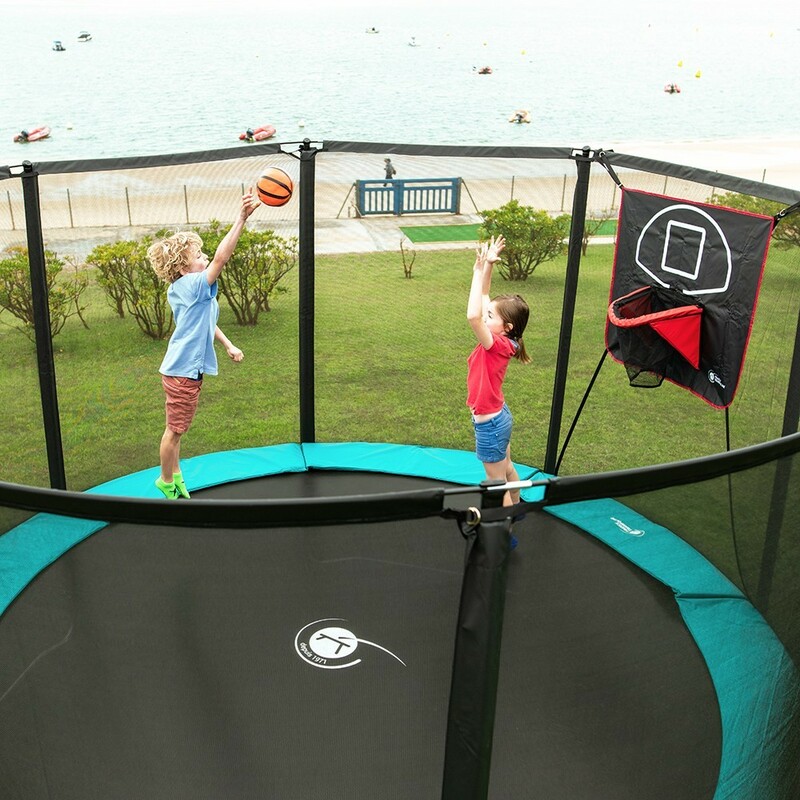 - Its UV-light protected, mesh jumping mat and its 80, 180 mm long springs allow for a dynamic rebound that will help link up several jumps. 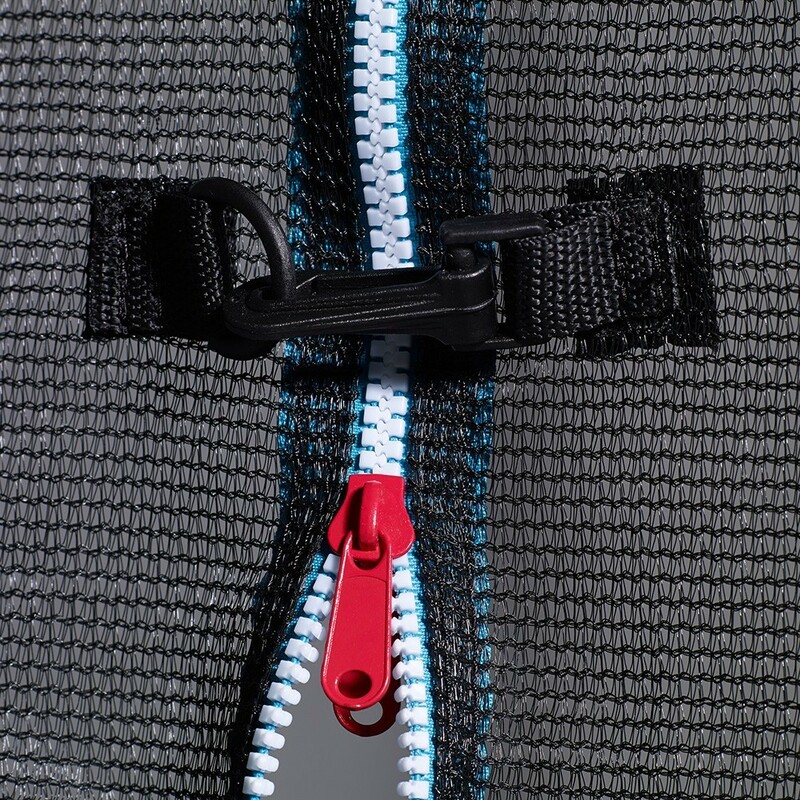 - The enclosure provides maximum safety for jumpers. It is held by 8 net posts of 32 mm in diameter, that stand directly on the ground. 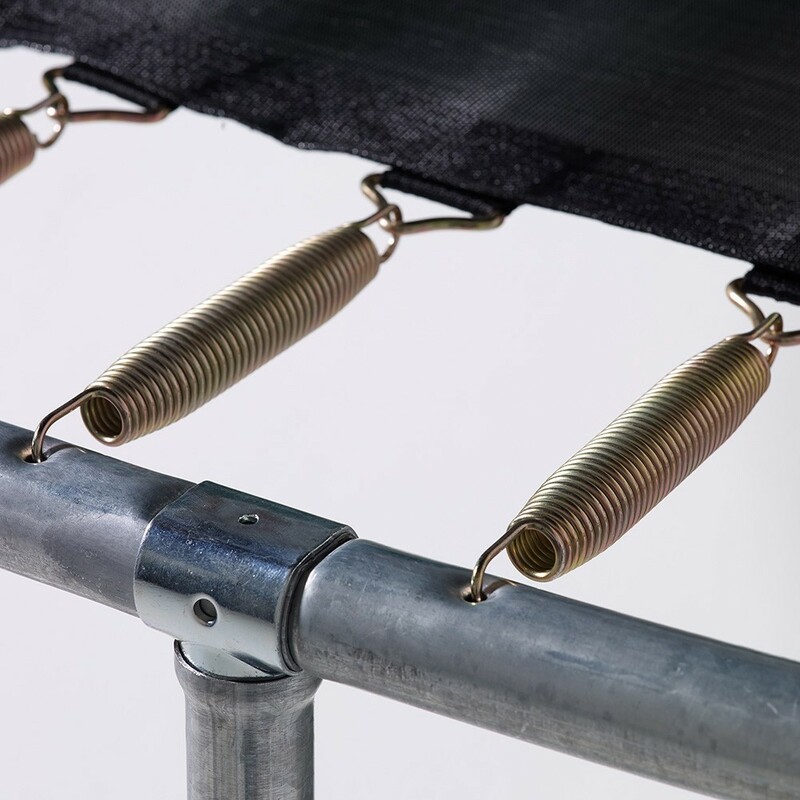 This makes the entire trampoline structure more stable as the net posts are attached in 2 points with brackets to the trampoline feet. The door is securely closed thanks to a zip and snap hooks. 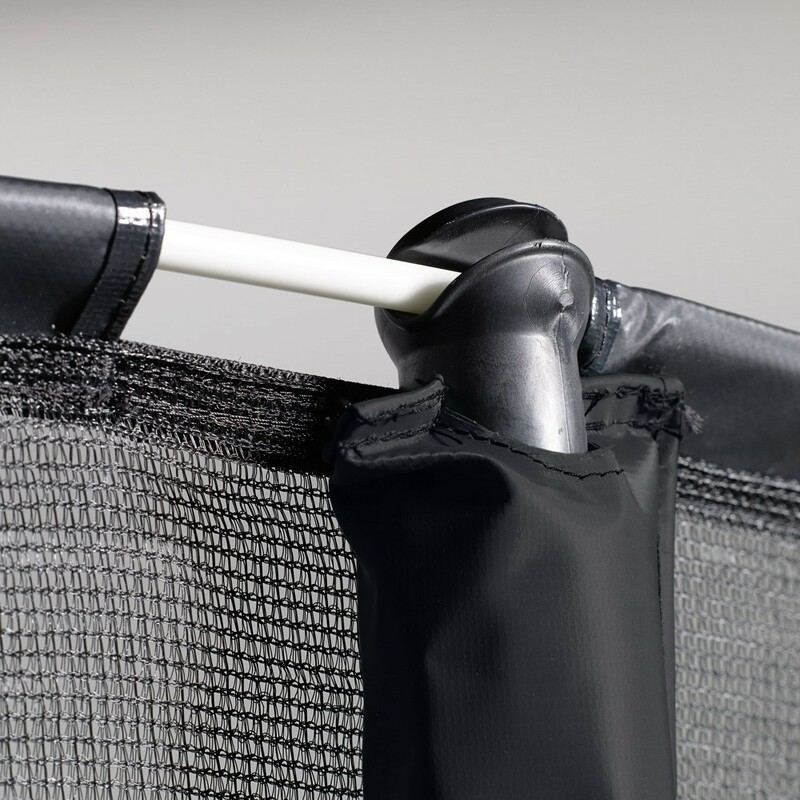 - A 20 mm thick, mono-block frame pad covered in ultra-resistant PVC protects jumpers in case of a uncontrolled jump outside of the jumping area. With an anti-UV treatment, this frame pad is also waterproof protecting the foam inside for many years. - The ladder provides easy access to the trampoline thanks to its 2 anti-slip steps. 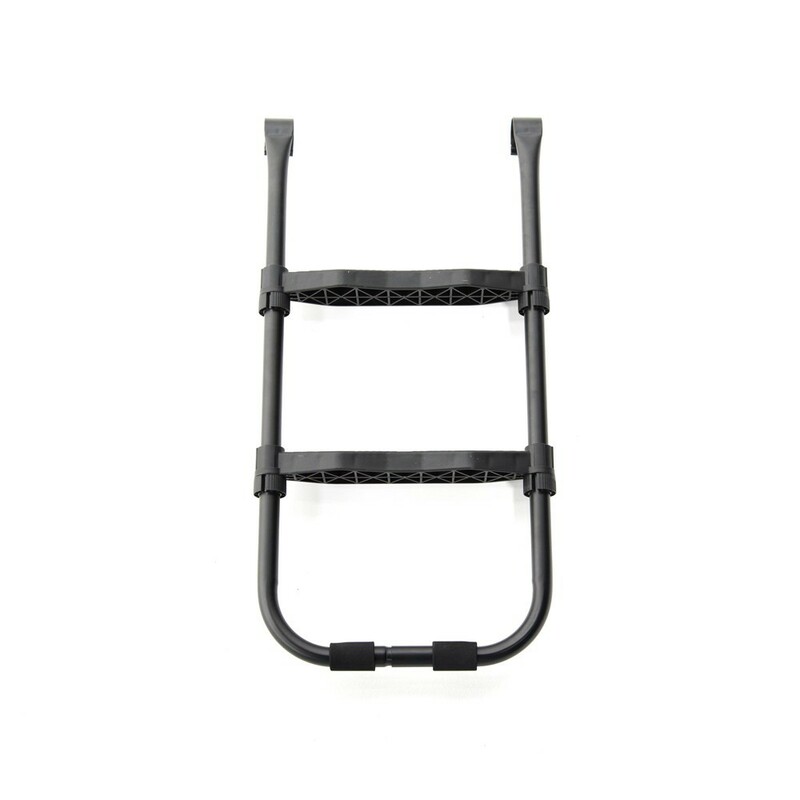 It ensures safe and easy access for children, contrary to discount ladders that only have tubular steps. 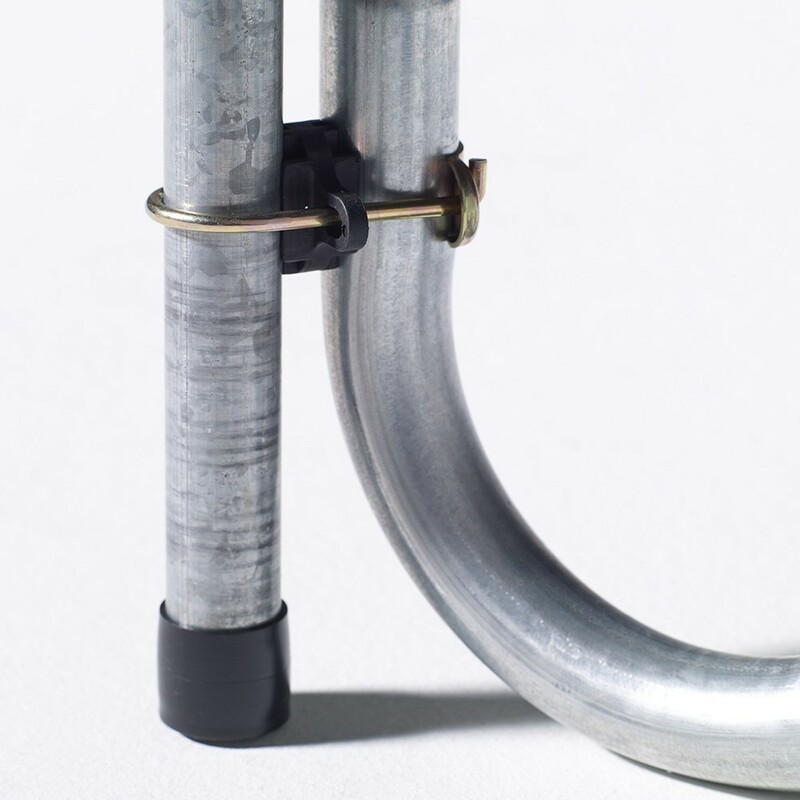 - The anchor kit will allow you to firmly hold your trampoline on the ground, thanks to its winged rods that are pushed into the soil and attached to straps. 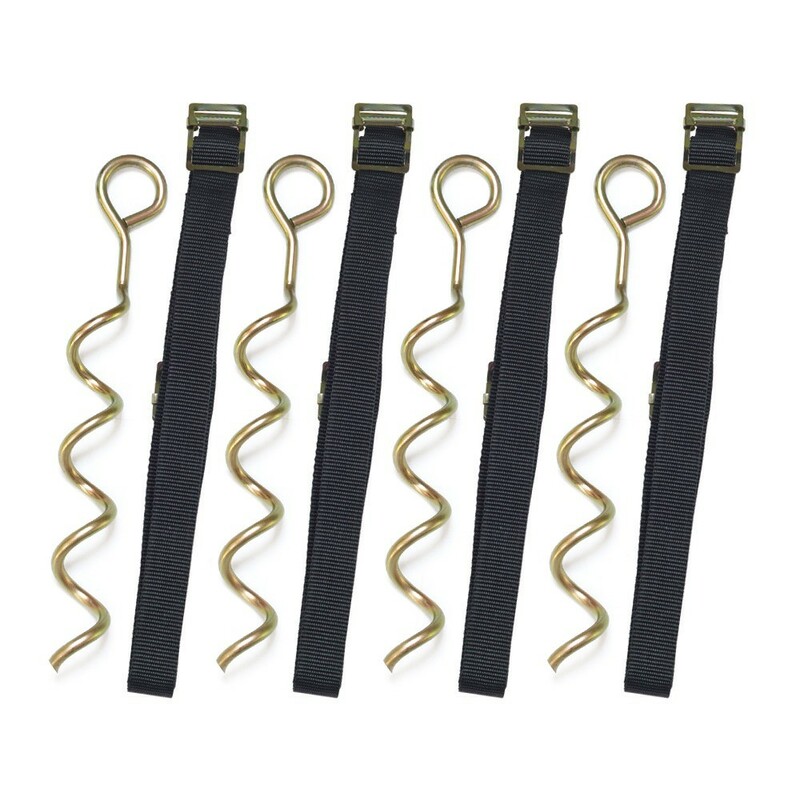 The anchor kit is indispensable in windy regions. 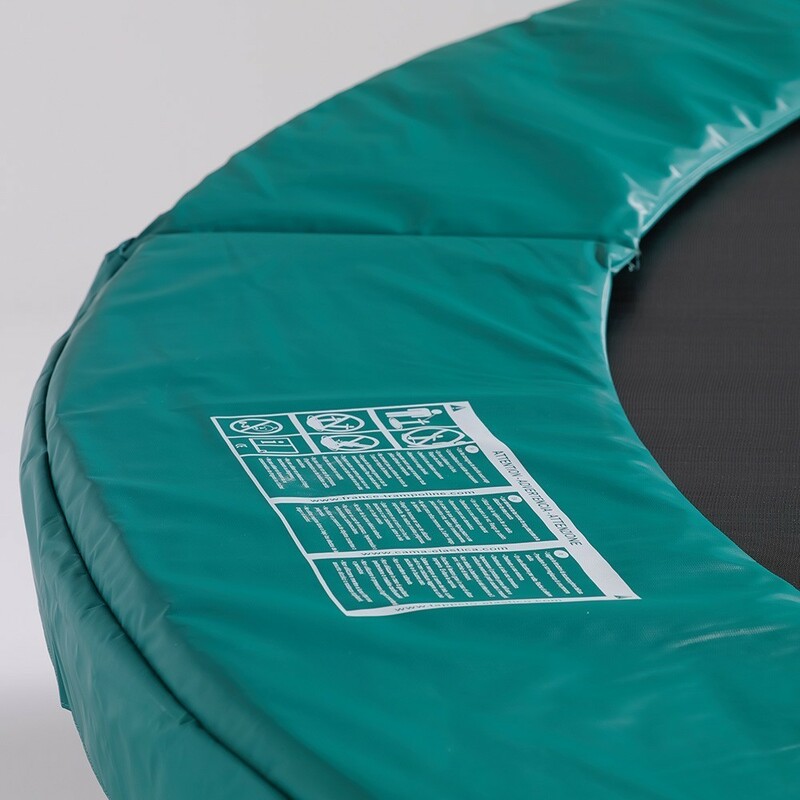 - Finally, the premium protective cover in PVC will allow you to protect your trampoline from dirt, pollen, dead leaves and also bad weather. 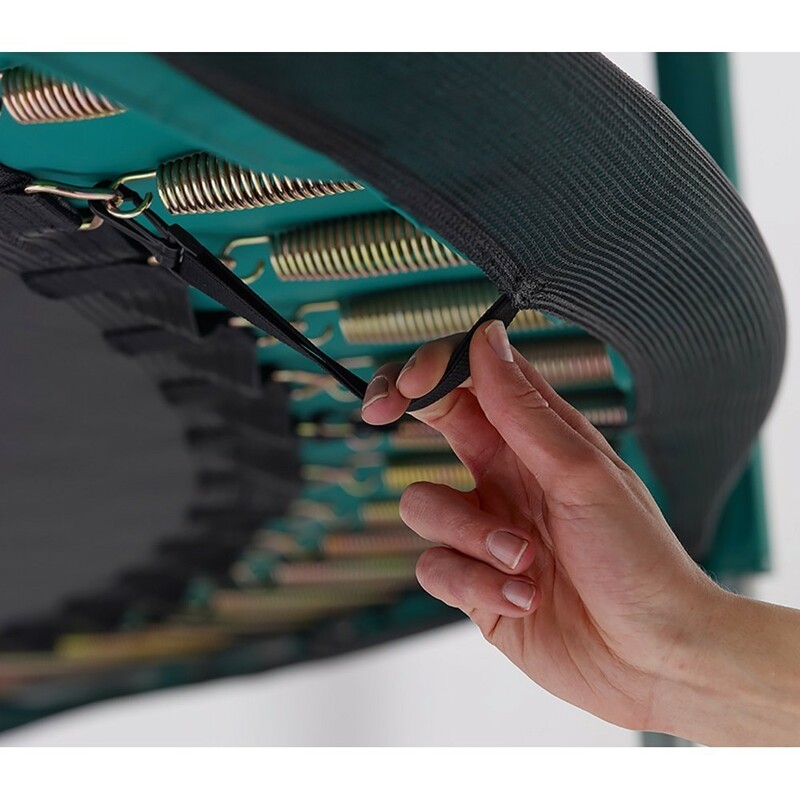 This green cover protects the whole jumping mat and frame pad and attaches under the jumping mat thanks to hooks. An evacuation grid allows water to filter off the trampoline. Ce trampoline semble déjà au montage d'une qualité supérieure! Super produit ! Bonheur des petits et des grands ! Produit de bonne qualité. Juste un petit bémol concernant la fermeture éclair qui n'est pas pratique. Mon fils de 5 ans pour sortir ou entrer dans le trampoline est obligé de l'enjamber car cousue trop courte sur le filet. Sur un filet vu sur le site elle est en forme de L ce qui doit être plus pratique. Nous elle est cousue en forme de I. Sinon rien à redire le trampoline est conforme à nos attentes en terme de qualité, et de sécurité. 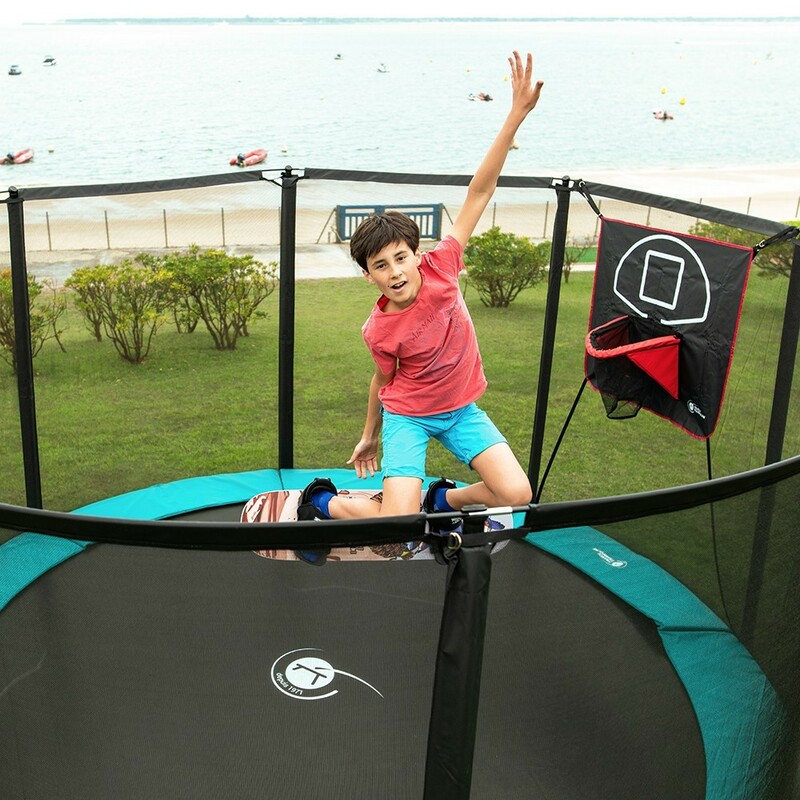 Pour 2 enfants c'est la dimension idéale, bien conseillé par un technicien de France Trampoline.